Contractors' Questions: Is my CV too long? Contractor’s Question: Is my CV too long? Due to the number of contracts I’ve had, my CV could run for five pages. Should I cut it down by removing details of earlier contracts and just putting the dates? The rub is I’ve got achievement in my past I deem relevant. Any tips? Expert Answer: This is a great question that gets asked regularly. There is no exact right or wrong answer but there are some general yardsticks. Interestingly, the amount of information that recruiters and hiring managers want or need has increased over the years. There was some interesting research done by one of the leading business schools that echoes this point, and a recent survey by one of the national newspapers concluded that nearly 80% of job-seekers (it wasn’t specific to contract or full-time job-seekers), thought their CV needed to be two pages. But more than 75% of recruiters disagreed. It seems strange that the vast majority of recruiters think one thing and those looking for a job or contract think otherwise. We should also consider recruitment behaviour, and when I say ‘recruitment behaviour,’ I mean from both recruitment agencies and hiring managers. As we know, it has become typical for either of these professionals tasked with engaging you to check out the LinkedIn profiles of shortlisted candidates. Statistically, this happens 85% of the time. Given this fact, it is clear that those responsible for making recruitment decisions want more information and not less. My advice to you is that up to four pages is therefore about right, particularly for an experienced contractor. Up to three pages is acceptable for those exploring permanent roles. Many of the large UK organisations who have recruitment PSLs stipulate that their preferred recruitment suppliers should limit the length of CVs for contractors to four pages. This is enforced to the extent that a longer CV will be rejected on those grounds alone. As to what you should include (and omit), I recommend contractors should focus on the last six years of their contracts, whereas a permanent job-seeker might focus on the last ten. Any previous roles should then be tucked away as one-liners in an ‘Earlier Career’ section. There may be some exceptions to this if relevant or important jobs / contracts are omitted from the main ‘Career History’ section, but this is a good yardstick. So this guidance will apply most of the time. If you do find that some of your earlier roles are missing and you feel they are worthy of more than a one-liner, making use of case studies on page one of your CV could serve you well. Our chronological CV methodology has a section that we call ‘Career Highlights’ which appears on page one before the Career History; in this section, you would have three stand-out achievements or projects (written as six-line case studies using the STAR methodology) that relate to the contract or position you are applying for. And just so you know, it is acceptable to write a case study about a piece of work from earlier in your career and place this on page one as a way of promoting this information and making it more prominent. In fact, the case studies I refer to are a great way of getting around the issue of ‘last job syndrome,’ where your most recent contract may not be the most relevant for future applications. By adding some relevant case studies to your CV’s first page, you are promoting this information into a prominent position which will be read before the Career History, and therefore beat the constraints of your career chronology. 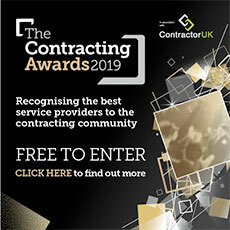 Lastly, but possibly even more helpful to you than all of the above ideas combined, I am running a one-hour ContractorUK webinar on Friday June 30th at 13.00. This free webinar will give you the 'inside track' on CV writing for the contract market. The headline topic of the session is ‘The four main styles of CV for Contractors -- which one’s work and which ones don't!’ With this in mind, I will be divulging how to write an effective CV for the contract market in 2017. This live event will be an informative and stimulating session, perfect for professionals like you who want to ‘go up a gear.’ Register here to reserve your place. The expert was Matt Craven, founder of The CV & Interview Advisors.